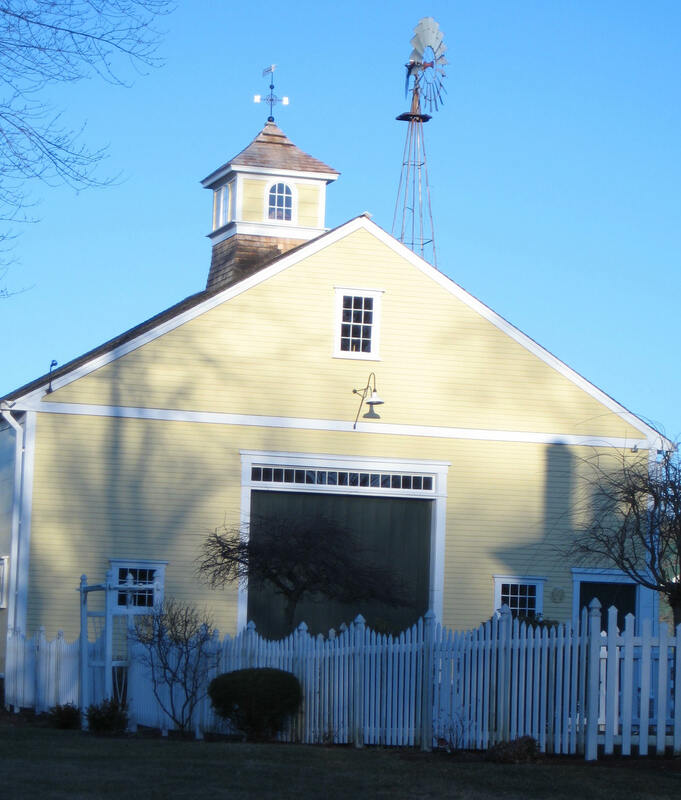 This yellow historic New England barn has lots of terrific architectural elements — cupula, weathervane, clerestory windows over the door, even a windmill in the back — but find the light fixture on this massive building! It’s the tiny white squiggle right above the big green barn door. Rats! A missed opportunity to finish this grand piece of history in style. Here’s another example of a big barn (it also has a cupula out of view), but it has an appropriately scaled light fixture above the door. 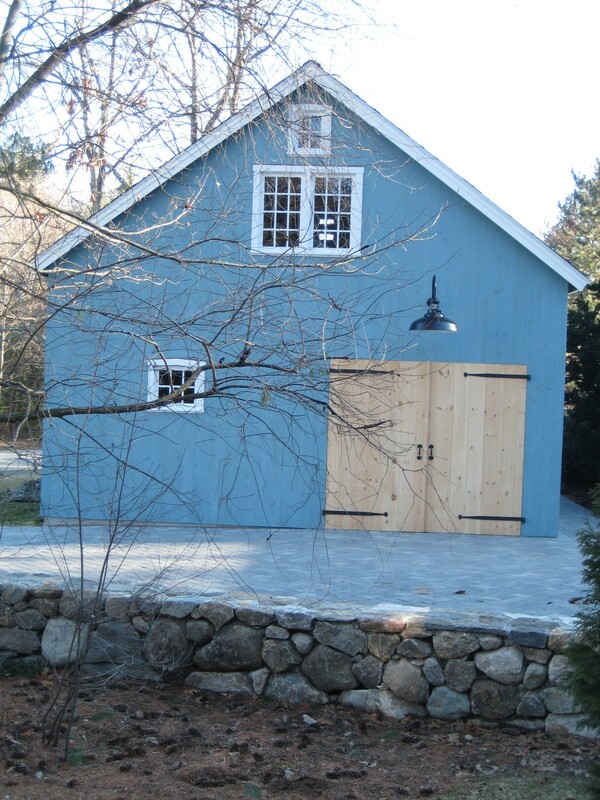 This blue barn has my vote. Nice! You are currently reading Lighting Makes All the Difference at Your Home & Color Coach.